When it comes to a football match, there’s always a level of passion, excitement and emotion, especially when watching your favourite team. The rush of happiness with a goal. The despair when you concede. However, with a derby, it’s amplified by 100. Suddenly that first goal leaves you ecstatic and over the moon, or it leaves you inconsolable and enraged. In a country like Italy with such a passionate culture of football, it’s even more electric. 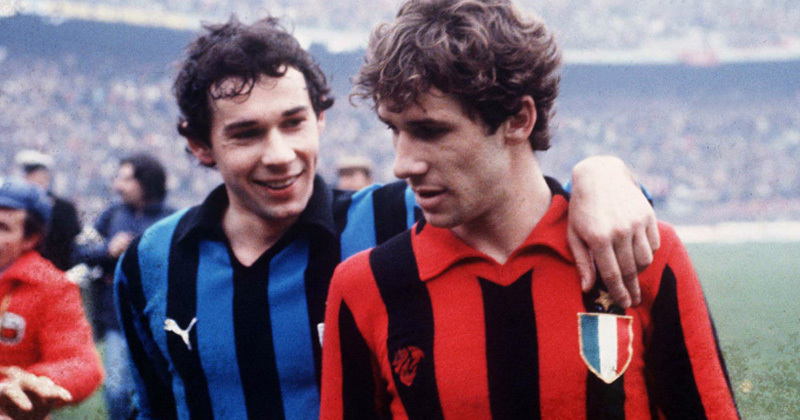 With the always important Milan Derby fast approaching, let’s take a look at one of the most beautiful rivalries in football. Originally, there was only one team in Milan: Milan Football and Cricket Club. Winning 3 domestic titles in their first 8 years as a team showed the strength of the club, but internally disagreements brewed. This was due to arguments about the signing of foreign players, with a group splitting to form their own team, which would become FC Internazionale Milano, colloquially known as simply Inter. 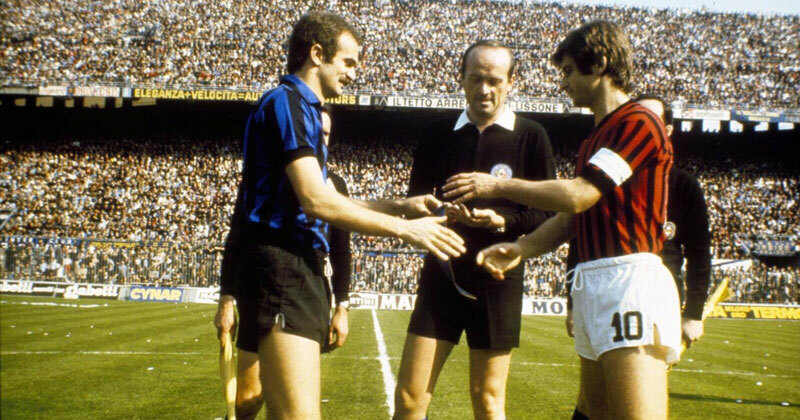 As such, most families in Milan would often have fans of both teams in the house, and so the rivalry developed more as a brotherly one than that of hated enemies (as seen in the Roman Derby, between Lazio and Roma). Over the next 100 years, both clubs would feel the highs and lows of football, winning titles, struggling at the bottom of the league and everything in between. This meant that it has always been a competitive derby, without one side clearly dominating for too long. Another interesting aspect of the 2 clubs is that they share a stadium with each other, much like other Italian clubs such as Genoa and Sampdoria. Who can blame them, considering the San Siro is one of the truly great stadiums in world football, and a perfect platform for the derby to take place. The banners of the fans are always a spectacle to behold. One of the most important parts of any football match is the fans, and once again derbies exemplify this. Inter and Milan’s fans definitely don’t disappoint, with huge banners, loud constant singing and undying support for their respective clubs. Happily, the rivalry is completely good natured, as seen in 1983 when the “Ultras” from both teams wrote a peace pact that is still in place today. The lack of violence and palatable tension outside the stadium means that its attendance is always huge, and not only that but also it means all that pent-up emotion is allowed to run riot inside (metaphorically, obviously), with the unadulterated ardour being let loose through the chants, flags, banners, and cheering. This friendly rivalry between the ultras has come into play too in recent times. 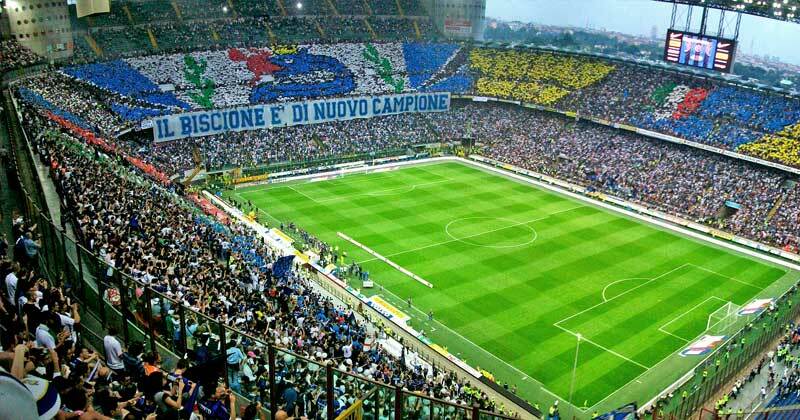 In the 2013 derby, it came to light that the Milanisti were forbidden to bring in banners by the police, and rather than revel in that and take the chance to embarrass the Milanisti, the Interisti decided not to bring any either. This level of solidarity proves that, for many, the derby is more like a competition between brothers than it is one of hatred. The meaning of the derby has changed dramatically throughout its history. Whilst it started as simple local bragging rights, for a while it was a game that could decide the winner of that years scudetto. However since those times the derby has now become both a game of bragging rights and an important 6 points toward champions league qualification, a competition which was void of either team until this year when Inter snuck in at the end of the 2017/18 season. 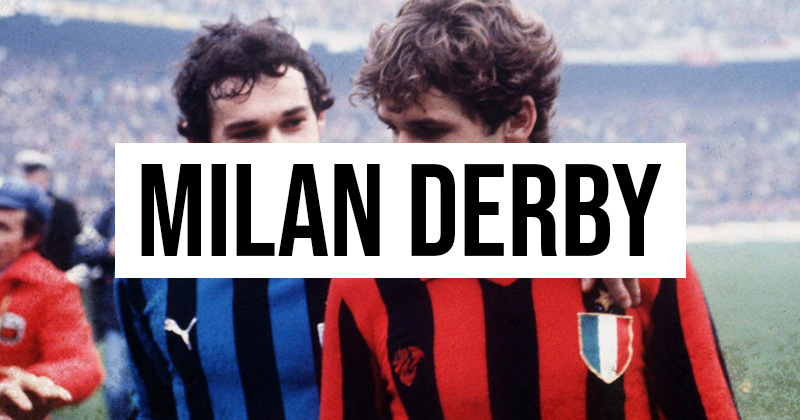 Unlike the Roman Derby, a match in which neither team is usually vying for the title and where the derby itself is the highlight of the season, the Milan Derby is usually seen as a stepping stone for the bigger picture, whether it’s the scudetto, or another cup. 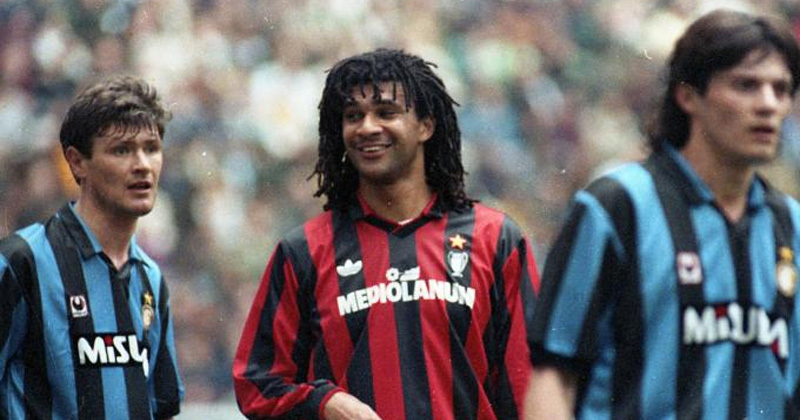 The contrasting Blue/Black of Inter and their brothers Milan in Red/Black. Finally let’s take a look at the kits. For the purposes of pure comparison, we’ll look at home only. It’s interesting that both clubs have a similar style, yet with completely different primary colours. Looking at the connotations of the colours of Inter, blue is often seen as a calm, cold and calculating colour, and so it’s almost the complete opposite of what Milan’s colours are. This can be seen recently in the players, who rarely find themselves embroiled in drama on the pitch and are usually incredibly clinical, especially in the striker department, now with Mauro Icardi and in the past with strikers like Ronaldo. It’s rare that either team strays too far from these stripes in their iconic home kits, and with good reason. Both of them are classic kits in Italian football and can be recognised world-wide. Lucky then, that we can seem them beautifully displayed on one of the most amazing stages in the world this upcoming weekend. To compare prices on both Inter and Milan shirts, you’re already in the right place.